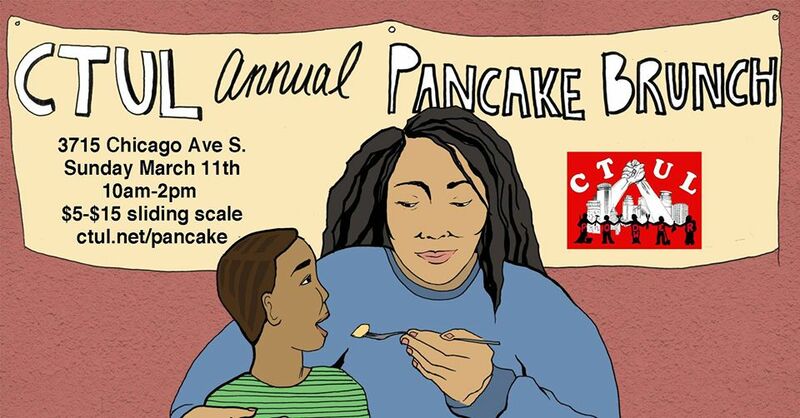 Join us for CTUL’s 2019 Pancake Brunch to celebrate our victories over the past year, to find out how to plug into more exciting organizing in 2019, and to enjoy some good food and company! Today we celebrate our victory on passing $15 minimum wage in the City of Saint Paul. This victory was the result of the continued efforts of compassionate, brave, and relentless low wage workers, who believe a better world is at the reach of our hands. All workers deserve to take care of their needs and enjoy time with their families and the important people in their lives, and because of that, they deserve a living wage. CTUL members and fast-food workers launched this fight in the Twin Cities four years ago, and have been on the front lines taking risks and building power by striking, speak their truth, organizing their co-workers, participating in city committees, and everything in-between to set a new standard in Saint Paul. Every day we are told that we can’t change the world, we are told that we don’t hold power and we can’t win, but today is a different day because through our organizing we made $15 reality! We are taking this momentum and pushing for more to make St. Paul’s minimum wage the strongest it can be. 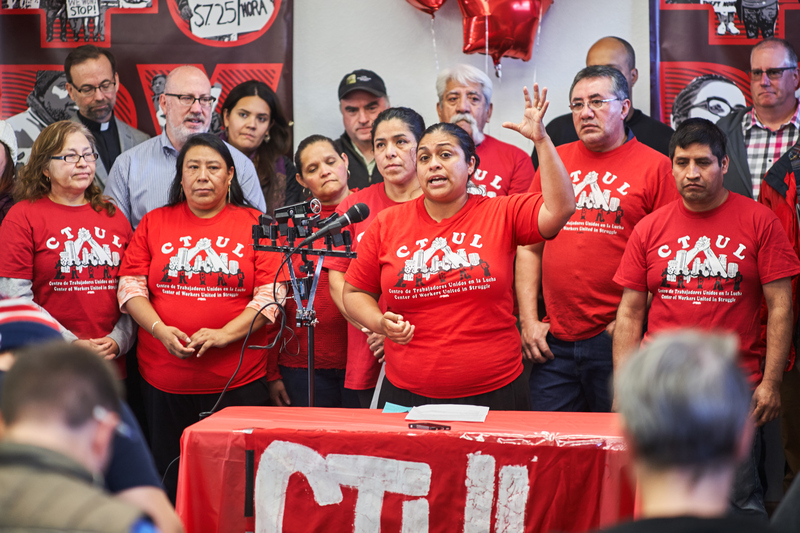 We commit to spreading through the city to educate workers on their newly won rights and work with the city to develop strong enforcement mechanisms. We also find it troubling that City Council passed a last-minute corporate giveaway by allowing franchises to be classified as small businesses, putting many workers and primarily workers of color on a slow track to $15. Other cities who have passed $15 like Seattle and Minneapolis classify franchised businesses as large businesses because of the many benefits that they receive from the corporate franchisor that small businesses can’t rely on. Workers deserve to be heard regarding their working conditions at franchises and now that we won $15 we know we can win more. We are committed to working with the City of Saint Paul beginning in January 2019 to ensure the $15 minimum wage has the greatest impact possible. 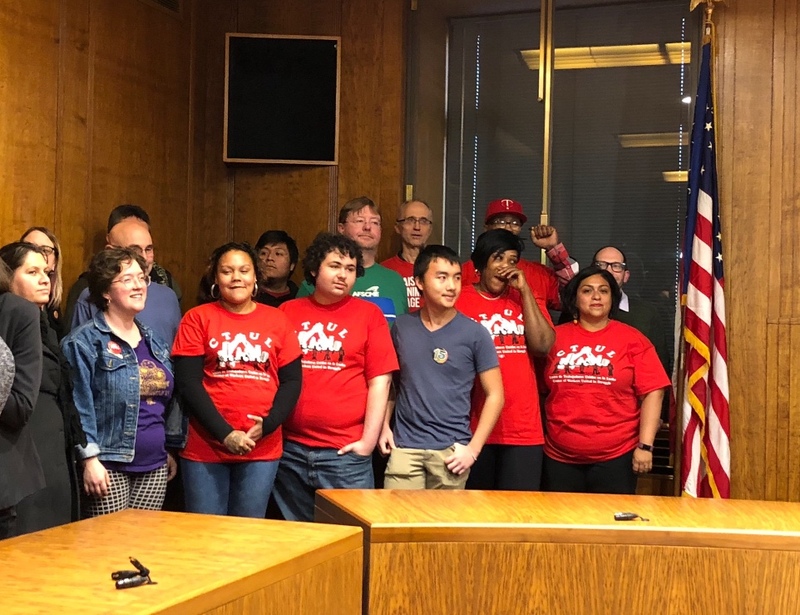 The workers of Saint Paul achieved a historic victory, and we want to make sure we mention that the ordinance is not exactly what we demanded. However, it is a major win for worker’s rights, and we will continue to build power to make sure we are one step closer to make Saint Paul a more equitable place to live and work. Together, the workers of the Twin Cities decide our future! 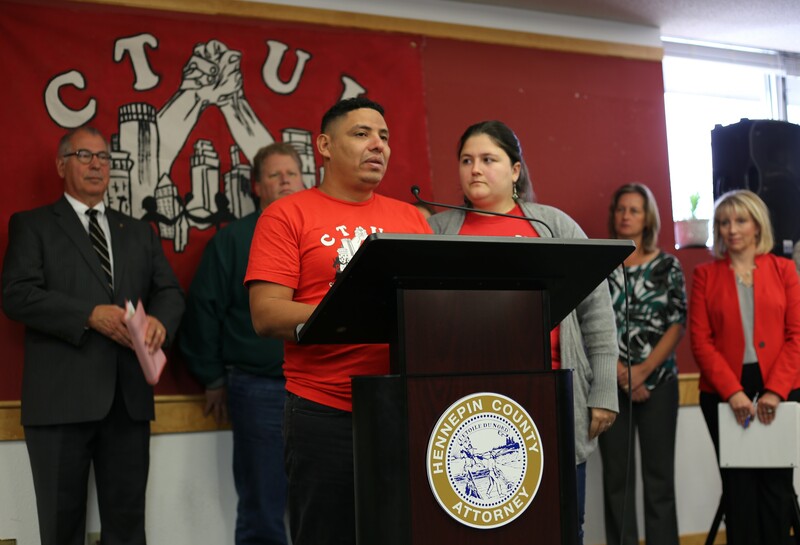 “Contractor Ricardo Batres Charged with Labor Trafficking, Revealing Immigrant Worker Abuse,” Filiberto Nolasco, Work Day Minnesota, September 26, 2018. “This Labor-Trafficking Case Exposes the Seedy Subcontracting Underbelly,” Michelle Chen, The Nation, September 28, 2018. “Culpan a a Contratista de Explotacion de Trabajadores,” El Minnesota Hoy, September 28, 2018.
the award in Washington D.C.
reality, and it is up to us to continue the fight. and where everyone has the opportunity to live their best lives. every single minimum wage worker in the state of Minnesota for 20 years. that the poorest Minnesotans live on average 8 years less than the wealthiest Minnesotans. connection between their every day working conditions and the 0.1% who run the economy, change is inevitable. from the 0.1% and is invested in the poorest communities in the Twin Cities metro area. But this is not enough. working conditions, but ultimately in deciding how our economy works. Join us for pancakes, solidarity and fun on Sunday, March 11. 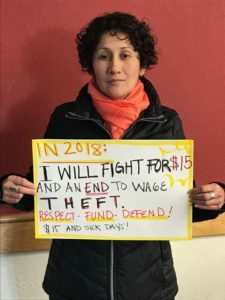 Hear exciting updates on the many victories that were won over the past year through deep leadership development with low-wage workers in the Twin Cities metro area. This Pancake Brunch will launch us into the second year of our Raise Worker Voice Campaign, with the goal of raising $1.65 million in two years to take our organizing to the next level. Click here to buy your ticket, and we will see you there! “Hot Protest in an Ice-Cold Super Bowl City,” Dave Zirin, The Nation, February 1, 2018. The same corporations that fought to keep thousands of working families in poverty by fighting against Earned Sick & Safe Time and a $15 minimum wage in Minneapolis and St. Paul sponsored an elite $2,500 per table event to honor community service and personal integrity in the NFL. Over 200 workers and community allies showed up to call on the Minnesota Chamber of Commerce and the Super Bowl Host Committee to support $15 in Minneapolis and St. Paul, and support sufficient funding for enforcement. Check out this video by WorkDay Minnesota of the action outside, as well as a video from the action on the inside. The Super Bowl is coming to Minneapolis in a couple of weeks. Millions of OUR taxpayer dollars are being poured into this 10 day long elite party around the Superbowl in which corporations will benefit and working class people of color will continue to experience over-policing, wage theft and regressive immigration policy. “Protests Planned for Super Bowl,” Filiberto Nolasco, WorkDay Minnesota, January 29, 2018. 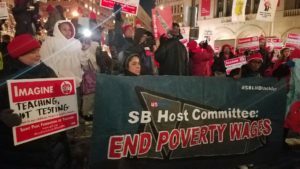 “Twin Cities Unions and Community Groups Shine Super Bowl Spotlight on Corporate Exploitation,” Debbie Prokopf, Labor Notes, January 26, 2018. “The Super Bowl is Taking Over Minneapolis and Residents are Mad as Hell,” Sarah Lahm, In These Times, January 26, 2018. 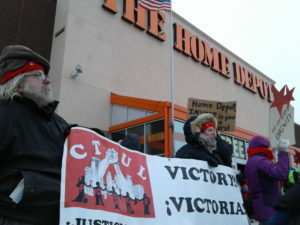 Monday, January 29, from 6 pm to 8:30 pm, at Hamm Plaza 1 Ecolab Place, St. Paul, we are kicking off a week of actions. This is the first major public event of the Super Bowl week – join us for a march & rally to demand that the NFL billionaires listen to our voices & to kick off a powerful week of resistance! Cut any current contracts with Immigration and Customs Enforcement and Border Patrol. 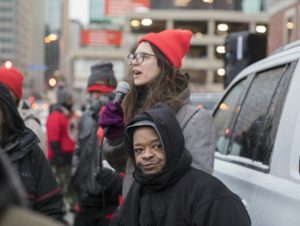 Create a $500K bond to be administered by the Minneapolis Departments of Civil Rights to cover any unpaid wages for workers who work supporting the Super Bowl and whose employers commit wage theft and are unresponsive. 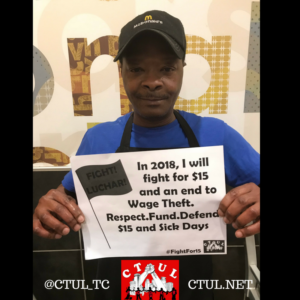 Publicly and privately support a $15 minimum wage in St. Paul with no tip penalty or carve-outs and a robust enforcement budget and mechanism to ensure that workers receive the $15 minimum wage they’re fighting for. 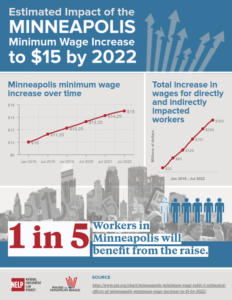 Publicly and privately support policy to create a long-term robust enforcement budget and mechanism in Minneapolis to ensure workers receive the wages and rights they fought for and won! 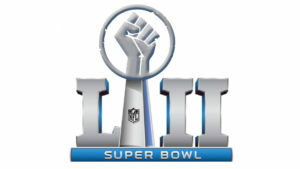 Your solidarity and presence will show the Super Bowl Host Committee and powerful corporations what the people want. You can also contribute to our efforts by making a donation. 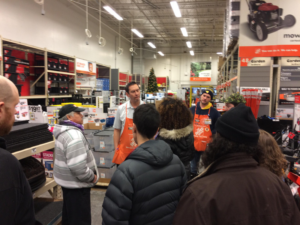 Click here for a complete list of actions this week. 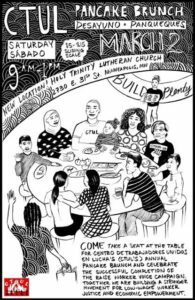 CTUL Gala - Buy your ticket now!